There are plenty of places to download typeface on the web. But which of them contain the best free fonts? There's a lot of noise and clutter online, and it's easy to end up falling down the rabbit hole of poorly structured sites and low quality fonts. So we've taken on ourselves to find you the gems in the rough. Besides the obvious places to download free fonts, we've also unearthed some less known sources – including personal design portfolios, agency sites and type projects. So next time you want to download fonts, start discovering a world of typographical inspiration! The go-to place for designers to show off their work, online portfolio platform Behance is a brilliant place to find free fonts. Whether you want a slab serif, script, tattoo or handwriting font, you're sure to find something that suits here. HypeForType features over 25000 designs from top designers – and some are free! Online font foundry HypeForType features over 25000 designs from top designers, and a whole chunk of those are available for you to download for free. Definitely one to bookmark. Artimasa a 'small lettering and type design studio with big dream'. These guys feature all manner of different type designs, with a few popular designs available for you to download and enjoy for free. Created by creative director Jonathan Hill back in 2006, type foundry The Northern Block offers a number of free fonts. From stencil and bold to modern and geometric designs, you're sure to find something suitable for your project here. It can be difficult to find that perfect font. Font Cab aims to make it easier for you to find great fonts without wasting time. The simple layout of the website makes it easy to navigate through the fonts without much effort. The Open Font Library showcases fonts that are free to use, study, share and rework for personal creative work. There's plenty to choose from with their extensive catalogue that also includes a wide range of web fonts. A small but growing number of designers and institutions are creating typefaces for the public domain. 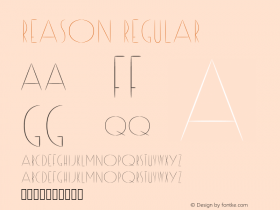 Free Font Manifesto provides information and airs ideas about the concept of free fonts. Fontellium is rather unique – a font site that brings together a collection of historical style fonts. With categories including everything from Egypta to Art Nouveau, this is the perfect place to find free fonts for your historical projects. 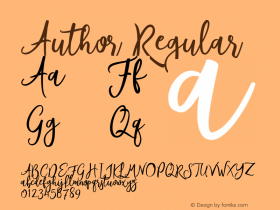 This list of the 20 best free quality fonts from Vitaly Friedman are more likely to be used for official, serious presentations (such as business sites) than a colourful teenager's homepage. Edge Web Fonts gives you access to a vast web font library made possible by contributions from Adobe, Google, and designers around the world. The fonts are served by Typekit, so you can be sure of high performance and stability. Plus, it's free! Misnomer alert! We're certain that 1001 Free Fonts doesn't feature exactly 1001 free fonts; we reckon that it's actually a lot more than that-probably something more in the region of 10,001 – and all of them handily organised across 64 categories, along with the option to browse by designer. Abstract Fonts has one of the cleaner interfaces in this arena, and it's very easy to navigate. There's a custom font preview option and it's updated regularly, with about 14,000 fonts for you to choose from. Jeff Schreiber is a designer, illustrator and typographer from Eindhoven, The Netherlands. Although he doesn't have too many fonts available on his site, it's all about quality and not quantity here. His 'Razor' creation is brilliant for print and poster work, with his 'Fat Frank' font offers a more playful approach. Neogrey is the portfolio of Ivan Filipov. Working as a graphic and web designer, he's created some stunning fonts that he's very generously made available for free download. We particularly love his latest font, a multicolore vector font that was released just over two weeks ago. Smashing Magazine provide a wide range of tutorials, inspiration and helpful advise for creatives on a daily basis. 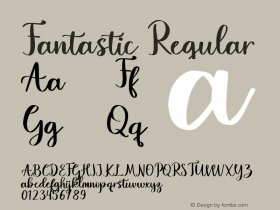 The site also has a great series of articles collating quality free fonts for you to choose from. These guys know what they're talking about, so it's a reliable place to download free fonts from. If you're looking for free comic fonts, The Oatmeal has provided this handly list of the free fonts used on its site. Created by Lukas Bischoff, a designer based in Germany, Artill is a nice little website that's aimed purely at people wishing to download free fonts. Minimalism at its best, and some great typography to be sampled. TypeDepot is a nifty little type-design studio website that offers a number of free fonts for visitors to download. There are also great commercial fonts to buy. There are many ongoing typography projects to be found on Wetecacahuete.com. Wete is a Spanish graphic designer who loves typography and editorial design. Head here to download free fonts such as Favela. Check out this gallery of design works created by Josip Kelava, a Melbourne-based designer. You'll find elements of typographical inspiration in each of his projects, and you can download free fonts such as Metropolis into the bargain. A massive collection of free fonts is being shared by type designers as part of this project curated by Jovanny Lemonad. They're totally free and everyone can take part in the project. If you like what you download, you may consider making a donation. Founded by Riley Cran and Tyler Galpin, LostType is a type foundry that offers you the chance to pay whatever you like for a font (and yes, it's possible to type in '$0' for a free download). Dafont.com is a massive archive of freely downloadable fonts. Browse by alphabetical listing, by style, by author or by popularity. A lot of it is on the unprofessional side but you can find some choice stuff here. It's also a good place if you're looking to download free fonts with a novelty theme, like the Pacman font featured above. Want to download free fonts for commercial use? Then Font Squirrel is the place to head. The quality of the fonts is high, they're mostly @font-face compatible, plus it's got a very nicely designed website into the bargain. Ten by Twenty is the impressive creation of Ed Merritt, a designer at UK web design agency Headscape. 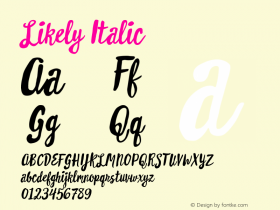 You can download free fonts from his site, as well as templates, themes and icons, for your web design projects-all of high quality. 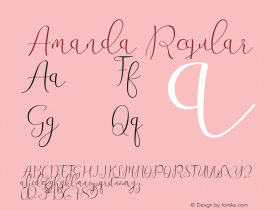 If you want to download free fonts for a craft or scrapbook-themed project, then head to Kevin and Amanda. 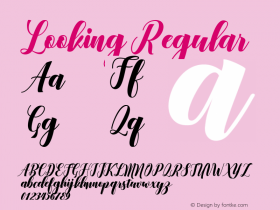 It offers over 500 handwriting and scrapbooking fonts to download for free and they're adored by fans of cute across the world. Google Web Fonts makes it quick and easy for everyone to use web fonts on their site. All of the fonts are open source, so you're free to share and customise them for your own use, or collaborate with the original designer to improve them. And you can use them in every way you want, privately or commercially: in print, on your computer, or in your websites. Github project The League of Movable Type is a typographical revolution in the making and anyone looking to download free fonts should make a beeline for it. The very first free and open-source type foundry, it's a hand-selected group of typographers who've created an amazing set of high-quality free fonts for all to download, such as the popular League Gothic. "I think that typefaces are living beings," says Pablo Impallari, "they continue to evolve over time. Even if the original designer died over 500 years ago, contemporary designers push their ideas forward, keeping up keeping up with the always-shifting way we perceive the alphabet." You can find some incredible fonts at his site, Impallari. There's a lot of detail in updates too, which gives a helpful insight in how they're put together. Commercial transaction attorney by day, by night Dan Zadorozny creates fonts that are free for non-commercial use (if you want to use them commercially, that'll cost you pretty reasonable $20 donation). There are hundreds to choose from; they're ordered alphabetically, so your best bet's just to sift through them until you find something you like the look of.